The OPEN team is thrilled to announce Danhua Capital, also known as DHVC, as one of their latest investors and strategic partners. Danhua Capital is an early stage VC fund with more than $700MM in capital focused on investing in projects and technologies that have the potential to disrupt the world. While it invests across all sectors, their blockchain portfolio is especially impressive as they were early investors in projects such as NEO, Aelf, Zilliqa, and Ontology – just to name a few. All of these groundbreaking projects have had valuations of over a $1 Billion. For this reason, their support for OPEN’s vision of bringing cryptocurrency to the mainstream by empowering application developers is especially relevant. Danhua recognized OPEN’s ability to assist developers in integrating multiple blockchains into their core technology stack without the need for learning blockchain programming languages such as Solidity as a groundbreaking innovation. Danhua has a history of backing immensely successful projects. In fact, over 10 portfolio companies of Danhua Capital have been able to achieve the coveted $1 Billion + valuation mark. OPEN is honored to be a part of such an incredible portfolio and to have the leaders of Danhua Capital see the same potential in OPEN’s vision. OPEN envisions a world where all applications accept cryptocurrencies as easily as they do fiat currencies. Applications of the future will not entirely be on the blockchain, nor will they entirely live in centralized servers. The truth lies in the middle, with the blockchain serving as a kernel to do things that its technology is uniquely suited to do, such as payments, asset issuance, transparency, and auditability while letting centralized databases handle complex computations not required to be on chain. In order to do so, the blockchain part of an application must be able to seamlessly speak with other parts of the application. That is the core of what OPEN does – they enable different types of data, some represented in decentralized networks and others in centralized ones, communicate with each other. OPEN starts with payments as it is logical that liquid, digital currency be used to purchase liquid, digital assets. This first step enables cryptocurrencies to be used in a similar manner to fiat currencies. The key components that OPEN uses are a set of off-chain APIs and Developer tools that abstract away the difficulties of blockchain technologies, interoperable on-chain Scaffolds that are deployed to each of the blockchains in our ecosystem, our own high throughput OPEN Chain, and an innovative Blockchain Load Balancing Protocol. The Danhua team recognizes the potential OPEN has to bring mainstream adoption to the blockchain space by building an API connected to a scalable and interoperable blockchain network that makes it incredibly easy for developers to integrate the blockchain into their applications. With offices both in Shanghai and Silicon Valley, they have been able to see, firsthand, the power of the API economy that has transformed the technology landscape over the past few years. APIs have the unique ability to simplify a complicated technology into an easily accessible tool for the developer, thereby enabling the adoption of otherwise hard to integrate technologies. APIs have helped big software companies, like Uber and Google, vastly improve their product offering and have helped propel them to becoming incredibly successful companies. 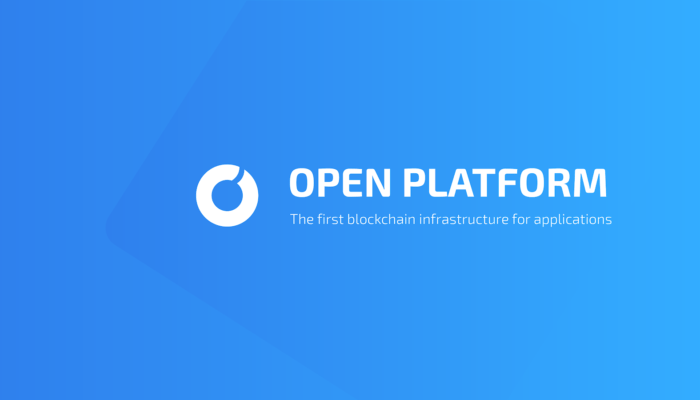 OPEN is providing its API services to make blockchain integration painless for developers – thus enabling mainstream adoption of decentralized technologies, and bringing the massively successful API economy to the blockchain industry. The world is currently populated by millions of centralized applications that are eagerly awaiting a secure, easy-to-implement and scalable solution. This solution is OPEN. OPEN brings tremendous value to Danhua’s already phenomenal portfolio by providing an essential infrastructure that other portfolio companies can leverage to grow their existing businesses. OPEN also has several industry leaders in the blockchain space backing it, including RChain’s Reflective Ventures, NEO’s Neo Global Capital, Draper Dragon, Sora Ventures, Element Group, One Block, Jeremy Gardner, and more! With the top public blockchain projects in both Asia and the U.S. backing it, as well as investments from leading crypto funds and individuals, OPEN is quickly emerging as one of the most promising projects of 2018.